Kickstarter | We manufacture cutting edge hammocks, camping gear and accessories. The Go Camping Hammock 2.0 was successfully funded on Kickstarter! Big Thanks to all of the backers that helped fund the Go Camping Hammock 2.as 0 on Kickstarter! The will be releasing this exciting product on GoOutfitters.com soon! The Adventure Under Quilt is Live on Kickstarter! Our awaited Adventure Under Quilt is Live on Kickstarter! Reserve yours from the first production run today! The GO! Hammock Hands-On Review by The Explorers Home! Thanks to our supporters The GO! Hammock is Funded on Kickstarter! THANK YOU! Big thanks to Vaughan Williams at The Explorers Home for taking the time to review the GO! Hammock on his awesome blog. If you are not yet familiar with his blog, it inspires readers to explore and demonstrates that you don’t need to travel to far away places to go on an adventure! See the GO! Hammock on Kickstarter! 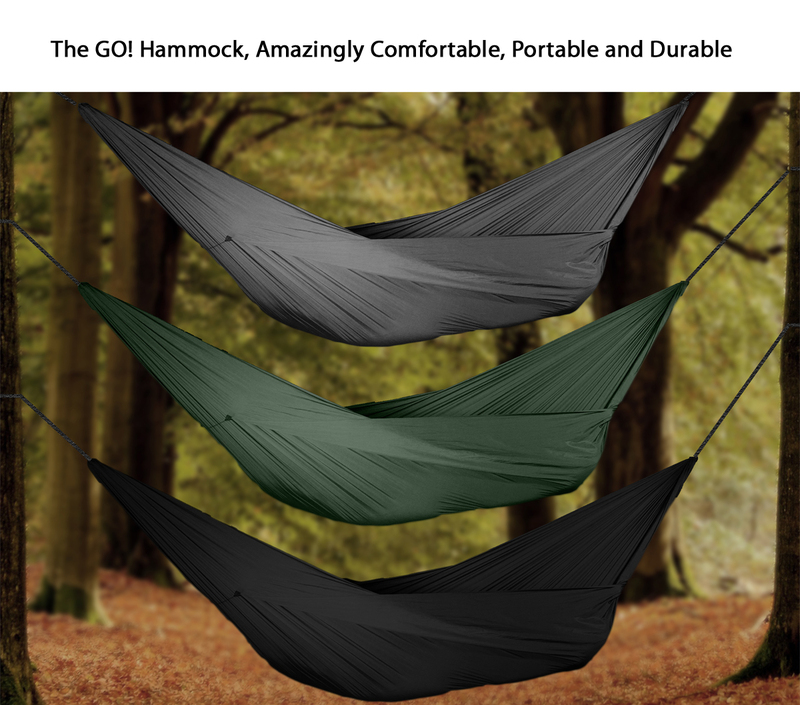 Big thanks to Hammock Fanatic for featuring the GO! Hammock on their website. We really appreciate these experts taking the time to give provide their take on our flagship product! Please click on their logo below to see what they think of the GO! Hammock. Attention bloggers and magazines our press kit is now available. We will promote all bloggers and mags who create an article about the GO! Hammock.